"Breathe in deeply to bring your mind home to your body." With over 400 screenings beginning this week, WALK WITH ME, is quickly becoming one of the biggest documentaries of 2017. As one of the most respected and celebrated figures the meditation, and mindfulness movement, millions of people around the world look up to Thich Nhat Hanh for guidance and inspiration to stay mindful and find peace amidst the chaos of daily life. 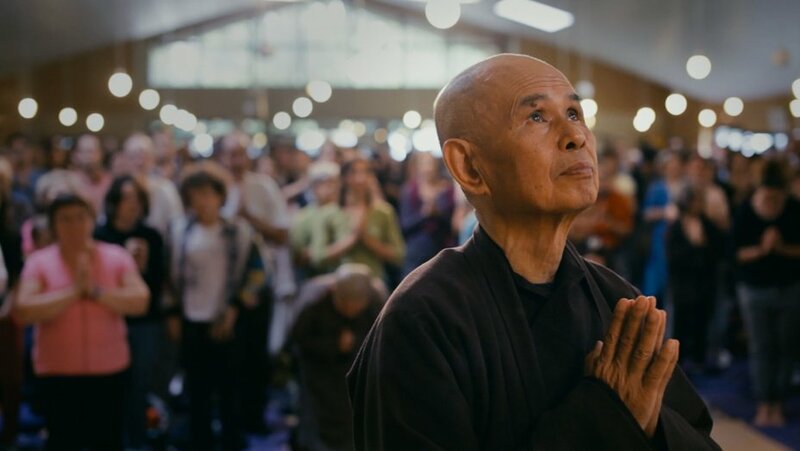 WALK WITH ME goes deep inside a Zen Buddhist community who have given up all their possessions and signed up to a life of chastity for one common purpose – to transform their suffering, and practice the art of mindfulness with the world-famous teacher Thich Nhat Hanh. We hope you will join us in bringing this film to the Brenden Theatre in Rifle on October 10th at 7:30 pm. Tickets are on sale for $13 just click this link, we need a total of 60 movie goers in the next 14 days to make this happen so please spread the word. "Cooling to the mind and soothing to the spirit, the documentary “Walk With Me” offers a tiny oasis of relief to anyone overheated by current events."